Getting engaged is a very exciting time and many of us just want to get stuck into wedding planning straight away. Whilst the average engagement period is 15 months, there’s nothing to suggest you can’t plan a wedding on a short engagement. If you have the budget and the organisational skills, or you’re hoping for a simple wedding, a short engagement could be totally feasible for you. We often hear romantic stories from couples who have been together for decades even though they got married merely weeks after they got engaged. If you want this to be your story, you will need to know a few well-proven tips on how to plan a wedding on a short engagement. If you’re a naturally organised person, you’ll probably revel in this intense planning period. However, if your organisational skills have never been a strong point, now is the time to sort that out. Even on a long engagement, planning a wedding takes a lot of time. Keeping track of all aspects of a wedding requires a lot of attention to detail to ensure nothing gets missed. 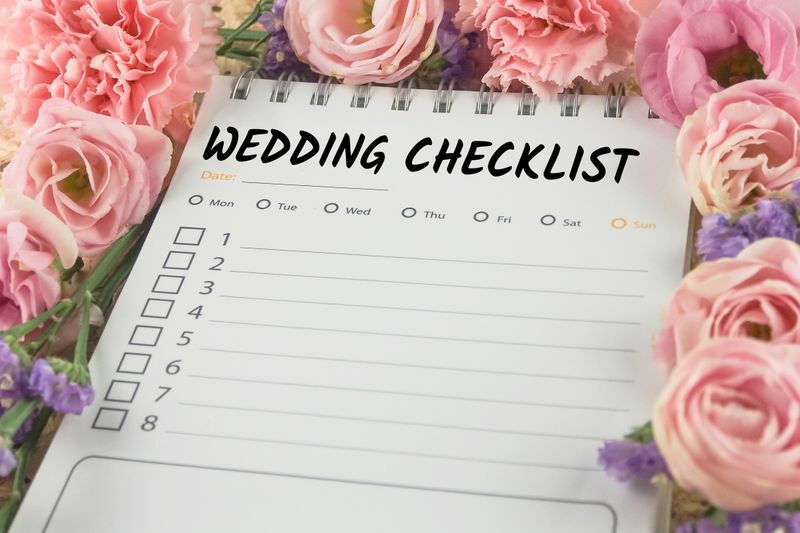 If you’ve chosen to plan a wedding on a short engagement, chances are you’re up to the task but, if not, consider hiring a wedding planner who can pull it together on your behalf. When it comes to planning a wedding on a short engagement, the season plays a huge role in what’s available to book for your wedding day. For example, if you get engaged in December and hope for a two-month engagement, you’re going to have a difficult time securing suppliers and a venue as this is New Zealand’s busiest wedding season. Short engagements work best outside of the peak wedding season. It’s easier to secure your wedding suppliers in the cooler months. If it doesn’t work out that way, or you don’t want to give up your dreams of a summer wedding, consider having your wedding on a weekday. While it may seem like a romantic fairy-tale to get married after a short engagement, there are plenty of realistic arrangements that still need to be made. The wedding venue is first. As most couples book their wedding venue around one year in advance, you’ll really need to get cracking. Here at Markovina, we see a whole range of engagement periods. Short or long, we know how to handle it. When you book with us, you will tick off multiple major elements of your wedding quickly. We offer it all: the venue, food and beverage, entertainment and a team of experts to ensure the day runs smoothly. To plan a wedding on a short engagement, you need to know some tricks of the trade so you don’t feel overwhelmed with the endless to-do list. Book your wedding at Markovina and make the process a whole lot easier. 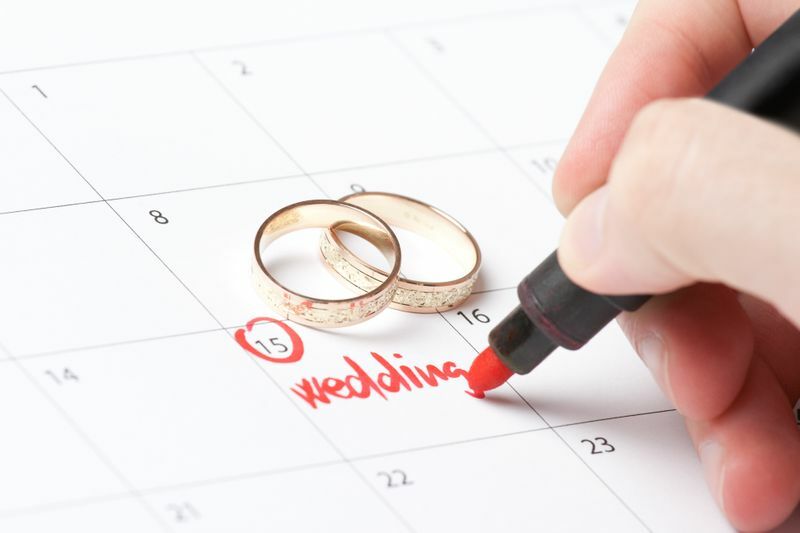 Planning will be an exciting process for you but your guests may be caught by surprise when they see the wedding date! Sending out your wedding invites should be one of the very first things you should do. Your guests will have various things they need to plan. In order to put as little pressure on them as possible, send them their invitations as soon as you can. If your wedding invitations aren’t ready to be sent, send a save-the-date card. However it’s done, just get that date to your guests asap! Decision-making is another hugely important aspect when couples plan a wedding on a short engagement. Much like organisational skills, the ability to make quick decisions comes naturally to some people. These people will find it easier to plan a wedding in a short engagement time. For those whose decision-making skills are not so great, you’ll need to develop a good ability to think on the spot. If you take into account the above three tips, you’ll be making quick decisions left, right and centre. Couples who plan a wedding on a short engagement are generally the type of people who know how to pull this sort of thing off. If you’re up to the task, there’s no reason why you have to wait over a year to get married. We have hosted many couples who have enjoyed a short engagement. These weddings were just as magnificent as the ones that were planned over the course of year or more. Now that winter is drawing near, the peak wedding season is over. If you’re looking to plan a wedding on a short engagement, now is the time to do it. Call us today to find out how we can help you plan the wedding of your dreams in a short space of time.